As a family, we love a good board game. I think it is good to take a step away from modern technology sometimes so I'm always on the look out for new games to play. 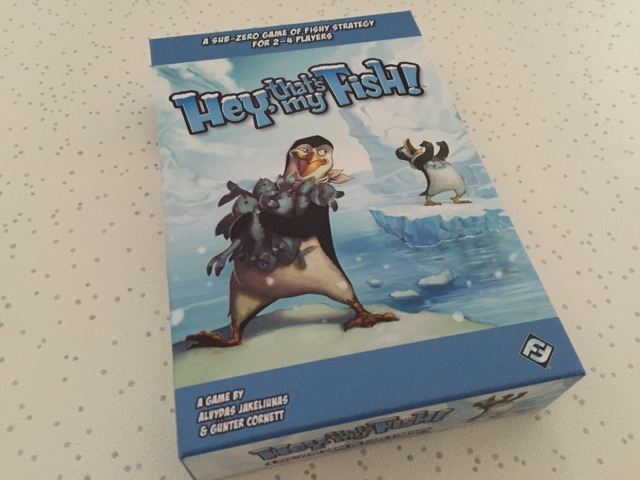 The most recent game we've been playing is Hey That's My Fish! (£9.99) This a game for 2 - 4 players and it involves a bit of stategy in order to win. It depends on how many players you begin with to how many pennguins you will need to use. 2 players use 4 penguins each, 3 players use 3 penguins each and 4 players use 2 penguins each. Each player in turn gets to decide which ice floe tile to place their penguins on, youngest choosing first. 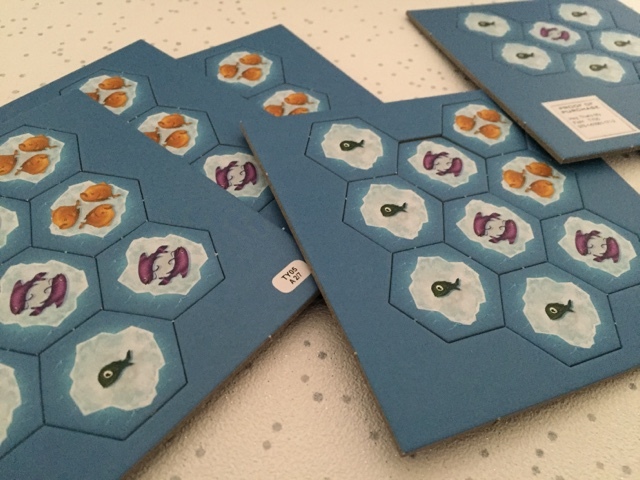 Every one of the ice floe tiles have varying numbers of fish pictured on them, either one, two or three fish. The idea of the game is to grab as many of the fish as you can before they begin to slip away. Now this game sounds fairly simple right but I'd say it is aimed more at children aged 7 and upwards because it actually involves quite a lot of thinking if you want to play the game correctly and make the most of it. 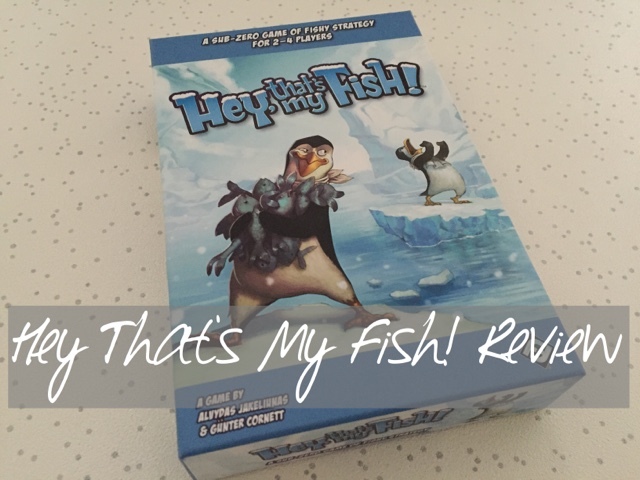 What is different about Hey That's My Fish! 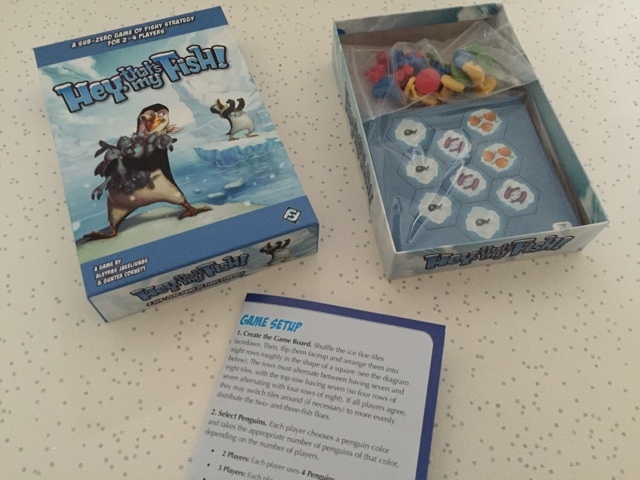 is that there is no dice to aid play, each player is left to decide how far they move their penguin dependent on how the tiles are placed and where other penguins might be standing. Every time you move your penguin you can take away the tile on which they were standing before they moved forward. The twist is that penguins can only move in a straight line and you can't move over empty spaces between tiles. When your penguin can no longer move forward they must be removed from the board. 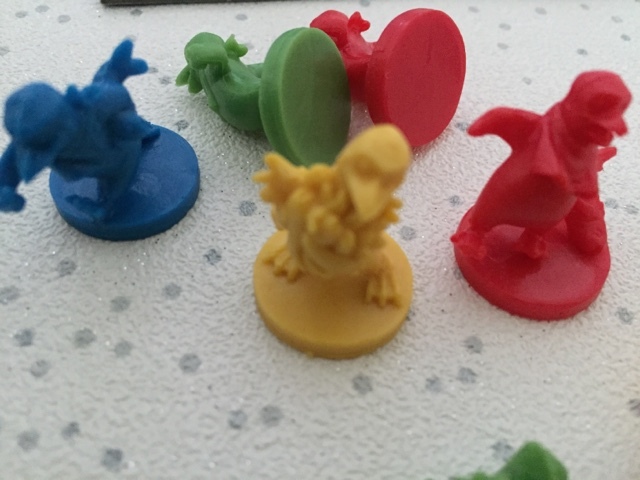 As the board starts to shrink around you, moving your penguins becomes increasingly harder. 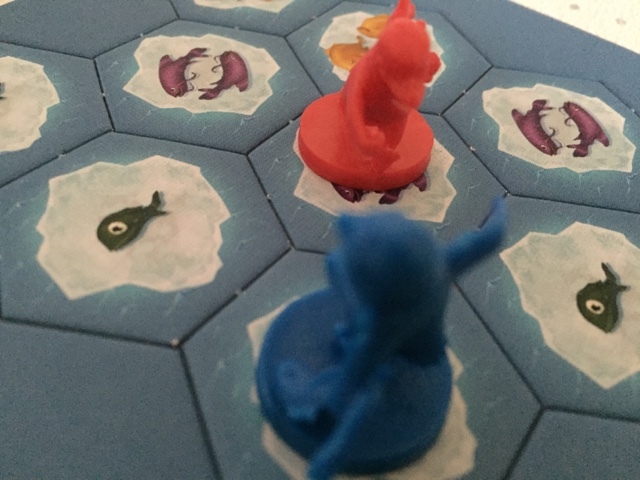 Once all penguins have been removed, ice flow tiles must be counted and the winner is the one with the most fish collected. Hey That's My Fish! definitely becomes a game of skill. Once you get used to the rules it develops into quite a fast paced game which as a parent I like because it prevents the kids from getting bored and because of the nature of the game it seems different each time you play it because you aren't following the same route each time, will the ice break in your favour?